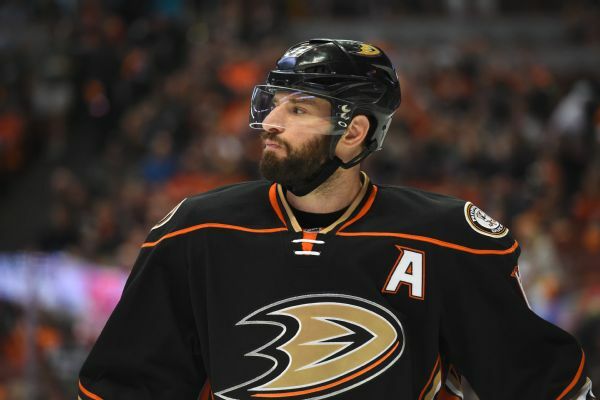 After getting a negative response, the Ducks took down a video that celebrated the league's 100th anniversary by having Ryan Kesler walk around in his "birthday suit." 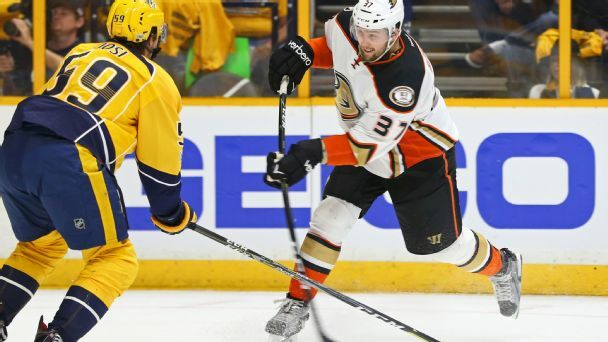 Anaheim Ducks center Ryan Kesler has undergone hip surgery that will keep the Selke Trophy finalist away from full hockey activity for 12 weeks. 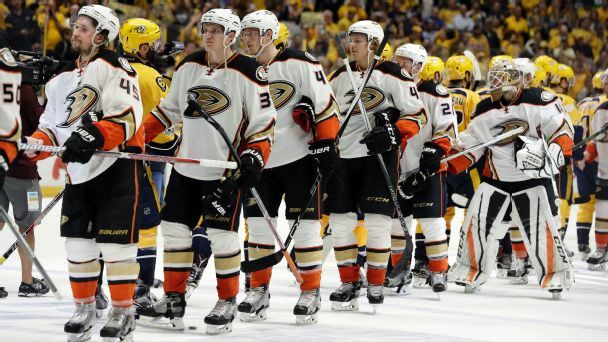 For the fifth straight season, the Ducks were Pacific Division champions -- and for the fifth straight season they lost a playoff series in which they held home-ice advantage. 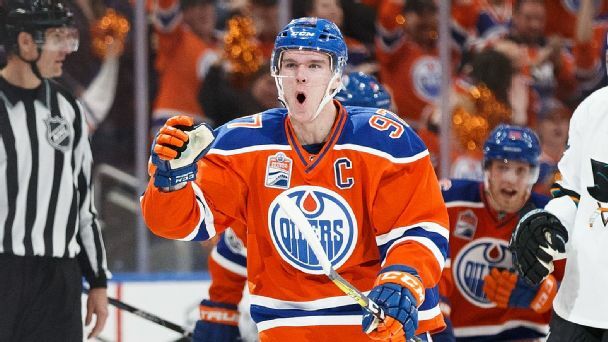 Changes are coming. But what will they be? 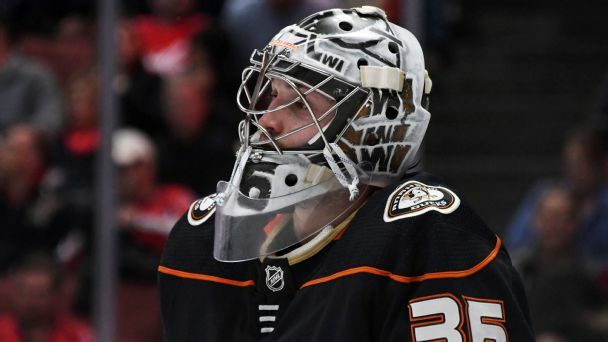 Nick Ritchie, the newest power forward on the block, has a hard demeanor and soft hands -- a combination that is making him a formidable weapon for the Ducks as they chase down the Predators in the Western Conference finals. 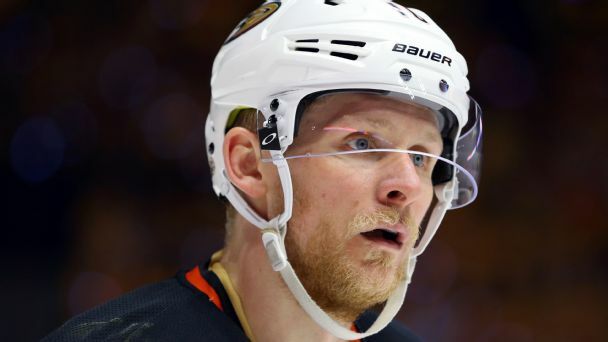 The smash-and-grab Western Conference finals have turned nastier, but a few players still need to join the fray in some way in Game 4 or risk being left in the dust. 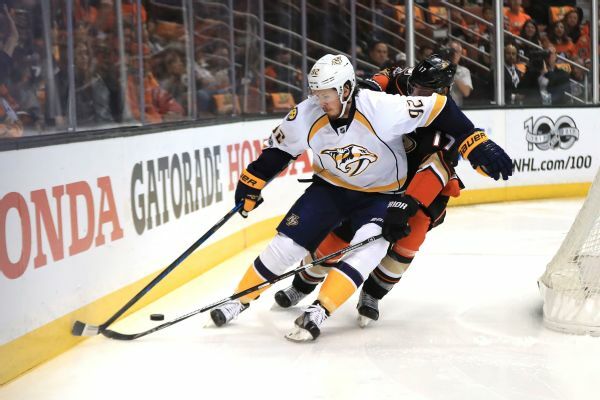 The Ducks' Ryan Kesler doesn't plan on easing up on Ryan Johansen after managing to rattle him in Game 2.